Best of the Best 2019 – Nominate Now! 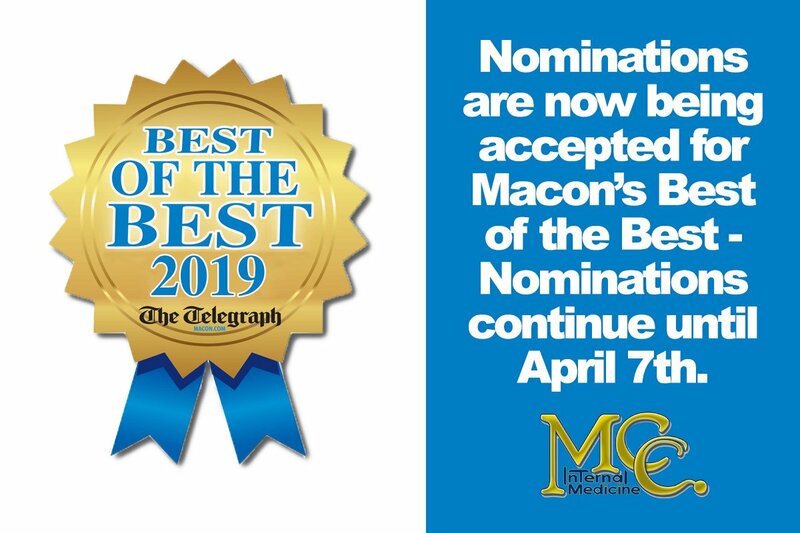 March 24, 2019…….The nomination process is now OPEN for the Macon Telegraph’s Best of the Best 2019. Go to this link Best of the Best 2019. Click on the link to nominate a business in Macon. Then click on Health and Fitness and nominate MCC Internal Medicine in the Best Internal Medicine category and nominate Dr. Jeremiah McClure in the Best Physician category. You can do this once a day every day! Nominations began today and end on Sunday, April 7th. Full voting, after nominations are accepted will begin Sunday, April 21st. ← MCC Internal Medicine Five Year Anniversary Video!